Yesterday listening to BBC Swahili's "Dira ya Dunia" a person who identified himself as, Msombo Eric (sp) showed to the BBC documents that are supposedly UNHCR's record indicating the attacker, Albert Alonda Mulanda was a known refugee from The Democratic Republic of Congo living in Kenya. Msombo further said they used to attended Church together with the late Mulanda, his father and the family and that on Sunday, a day prior to the incident, he had informed them that he would be traveling. It was in the following morning they received reports that Mulanda was caught in an accident and died. They searched for his body which was later found and identified by his father at the Kenyatta Hospital Mortuary. Click the audio below to listen to the short audio clip (in Kiswahili). A Bible college now claims the man the police blame for the Monday night bus blast was their student. A letter from the Mahanaim Bible College in Kasarani, Nairobi, said Albert Alonda Mulanda was Congolese, not Tanzanian, as police indicated. "We have been with him training and guiding him, and we understand he was on his way back to the Democratic Republic of Congo for Christmas and was supposed to be back for studies in mid-January," he said. The college emailed photos of Mulanda in his academic gown to prove their point, and urged the police to help family members recover the body. Police had initially linked Mulanda to terrorist group Al-Shabaab, with Police Commissioner Mathew Iteere saying the victim had panicked and dropped the grenade during the security check, killing himself. Kenyan Police have confirmed that the man who died in Monday night’s grenade attack at a Nairobi bus terminal was a Tanzanian who was headed to Uganda on a terrorist mission. Two Kenyan women also died, while 33 passengers, six of them Ugandans, were injured in the attack on a Kampala-bound bus. Police commissioner Mathew Iteere yesterday told reporters that Albert John Olando Mulando was identified as the man carrying the luggage that had the Russian-made grenade that exploded. Iteere said the device exploded before the bomber could undergo a mandatory security check to board a Kampala Coach Bus, which was parked on River Road. “After the investigations, we are over 90% sure that the man was transporting the grenade to Uganda. However, he became nervous and dropped it during the security check, before he could enter the bus,” he added. The police boss said Mulando did not have any identification documents apart from a pass issued on October 23, when he entered the country through Loitoktok. “He is a Tanzanian born in Mwanza and he has been staying in the country since he was issued with the pass. “The man did not have accomplices. He had a small notebook which had mobile phone contacts which we are trying to scrutinise,” Iteere added. Kenya police said no Ugandan died in the blast that ripped into the side of the bus. Uganda High Commission Officials yesterday spent over three hours at Kenyatta National Hospital in the hope of establishing whether there could be some Ugandan casualties. “We wanted to visit one Ugandan, Fatuma, who is still admitted at the hospital, but we were denied permission until later in the afternoon,” an official told New Vision. The official said six Ugandans had been admitted to the hospital, but five of them, all men, were discharged, leaving only Fatuma. However, New Vision has established that among the injured Ugandans were Emma Tawola and Faustine Kiwa, Uganda’s long- standing 800m champions. Others are David Kinyera, who sustained a cut on the forehead and Good Luck Kishayo, the driver of the bus. Iteere said police were still investigating if the blast had any links with the terror alert issued in Kampala on Monday. The bus conductor, Hussein Abdulaziz, said 45 people, including the crew, had been booked to travel on the ill-fated bus. Meanwhile Police chiefs in East Africa have agreed to a joint regional approach to counter-terrorism, The Star, a Nairobi newspaper, said yesterday. Quoting the Kenya Police spokesman, Eric Kiraithe, the paper said Nairobi, Kampala and Dar es Salaam were placed on high alert after the Monday night blast. “The police chiefs from Uganda, Kenya and Tanzania decided to share intelligence information to deal with the rising number of terror attacks in the region,” Kiraithe said. He said more security agents had been deployed at border points and all people leaving or entering Kenya would be subjected to a thorough security check. A British judged has sentenced defense contractor BAE Systems to pay a fine of 500,000 pounds ($775,000) for failing to keep proper accounts of payments made to an adviser in Tanzania. The payments were made in connection with the sale of military radar system in 1999. The judge said "there was a high probability" that some of the payments were used to favor BAE in negotiations. Sentencing on Tuesday by Justice David Bean follows British Aerospace Defence Systems Ltd.'s agreement in February to plead guilty and pay penalties of 30 million pounds, most of it as a charitable payment to Tanzania. The British fine will be deducted from that amount. * For alternative sources on the same story, click here to choose your preferred news source. "He told us point blank... that cases against the prime minister or the president were off the table ..." The cable then details allegations against former leaders and their inner circles, saying they would be "untouchable". "He noted that President Kikwete does not appear comfortable letting the law handle corruption cases which might implicate top-level officials." The cable then says Kikwete "does not want to set a precedent" by going after any of his predecessors. Bado sijarudi, lakini naendeleza "ado ado" kama nilivyoahidi, na hapa nimeona habari hii muhimu isitupite, yahitaji kuwekwa kumbukumbu ili tuweze kuirejea siku za mbeleni. Zifuatazo ni dondoo za taarifa hii iliyosomwa saa mbili usiku leo kupitia Taasisi ya Utangazaji ya Taifa, TBC. Bofya kifute hapo chini upate kusikiliza taarifa hiyo. Waziri Mkuu, Mizengo Pinda amezungumzia suala la madai ya Katiba Mpya kwa kuifanyia marekebisho katiba iliyopo sasa kwa kuahidi kumshauri Raisi na kumshauri iundwe tume/kamati ya watu itakayoshughulikia kupata maoni juu ya suala hilo; pia amezungumzia suala la Dowans na TANESCO na vile vile amegusia suala la Mahakama ya kadhi na kusema suala hilo halijakamisiwa kwa Waislamu pekee, pia amegusia suala la kuisha ajira ya aliyekuwa Mkurugenzi Mkuu wa TBC, Tido Mhando. Tido Mhando amezungumzia kumalizika mkataba wake katika shirika la Utangazaji TBC. Kauli zake zinaashiria uchungu na masikitiko makubwa ya jinsi mkataba wake ulivyoisha na harakati zilizokuwa zinafanyika kabla ya kufikia tarehe ya mwisho, na yaonekana alikuwa na matumaini ya kupata mkataba mpya walao wa miaka 2 au 4 kutokana na mipango aliyokuwa nayo. Gavana Mkuu wa Benki ya Tanzania (BoT) Benno Ndulu amezungumzia juu ya noti mpya zinazotarajiwa kuingia katika mzunguko wa fedha kuanzia Januari 2011. Ukubwa wa noti umepunguzwa ili kurahisisha uhifadhi ili pia kupunguza uchakavu na hivyo kuongeza muda wa mzunguko na kupunguza gharama za uchapishaji noti mpya. Aina ya karatasi imeboreshwa, noti zimetengenezwa kwa pamba kwa asilimia 100 na si ...karatasi za miti ili kuongeza umadhubuti na kukabili uchafuzi. Alama za utambulisho. Zimewekwa picha za sura za Wasisi wa Taifa, noti ya 1000 ina picha ya Mwl. Nyerere na noti ya shilingi 500 ina sura ya Karume. Noti za 2000, 5000 na 10,000 zina picha za wanyama pori tu. Toleo la noti mpya litatumika sambamba na noti zinazotumika sasa. Zote ni halali. Fedha hizi zitaingia kwenye mzunguko kwenye wiki ya kwanza ya mwezi wa Januari 2011 baada ya kutoa elimu kwa Wananchi kuanzia sasa. And they got it all. After beating Uganda in penalties to reach the finals, Tanzania's 'Kilimanjaro Stars' would have won the CECAFA Cup even if they lost to Ivory Coast because Ivory Coast was one of the guest teams. But Tanzanians wanted it all - win the match and grab all the money and walk away with the trophy. Which is what happened on Sunday, 12th December 2010 when they beat Ivory Coast 1-0 from a penalty kick scored on the 31st minute by Shadrack Nsajingwa. Earlier in the day, Uganda won the third place against Ethiopia in a match that saw 7 goals (Uganda 4, Ethiopia 3) scored. CECAFA had invited 'guest' teams, Ivory Coast, Malawi and Zambia in order to spice up a tournament which was largely dominated by the Ugandan 'Cranes' which has a total of 11 titles in it. Kikosi cha timu ya Taifa ya Tanzania kilichokwatuana kwa mikwaju ya penalti na Uganda katika mechi ya iliyochezwa Disemba 10, 2010 katika kuwania kufuzu kuingia kwenye fainali ya michuano ya soka ya CECAFA. Fainali ni hapo kesho, Jumapili 12 Disemba 2010 kati ya Tanzania na Ivory Coast katika Uwanja wa Taifa. Nimepotea, ni kweli, hata ujumbe mliouacha kwenye chapisho la Disemba Mosi kuaga, sijausoma wote, basi, mnisamehe tu, mnivumilie, nipatapo muda, tasoma na kujibu pale inapobidi. Shukrani za dhati ndugu zangu. Leo nilikuwa nyumbani nikirekebisha matatizo kadha wa kadha kwenye kompyuta, nikiwa naendelea na kazi nikisikiliza radio, yakawepo mahojiano katika Radio Maria (Tanzania) na Mbunge wa Vunjo, bw. Augustino Mrema. Alihojiwa na Agnes Shayo-Hiza akisaidiana na Francis Mbugu (sp) kuhusu kazi inayomkabili. Wananchi kadhaa wa ndani na nje ya nchi walipiga simu kupongeza na kuuliza maswali (machache mwishoni). Hivyo nisikupotezee uhondo, endelea kusikiliza kilio cha Mbunge kuhusu jimbo lake la uwakilishi, mipango na mikakati yake katika kutatua matatizo hayo. Awali ya yote, Salam wana-wavuti na wageni wote. Heri kwa kuanza mwezi wa mwisho wa kalenda ya mwaka kadiri ya wale wanaotambua kalenda hiyo. Pili, lengo kuu la toleo hili, Nunakufahamisheni kuwa kwa takriban miezi mitatu hivi, machapisho ya matoleo mbalimbali katika tovuti hii ya wavuti yatapungua na siku kadhaa yatakosekana kabisa. Kwa kawaida huwa siagi ikiwa kukosekana machapisho kutakuwa kwa muda mfupi, ila safari hii imenilazimu kutolea maelezo kwa sababu itachukua muda mrefu. Nimependa kujulisha hili ili isiwe kero kwa wasomaji wa taarifa habari zilizopewa kipaumbele toka vyanzo mbalimbali na kubandikwa hapa wavuti. 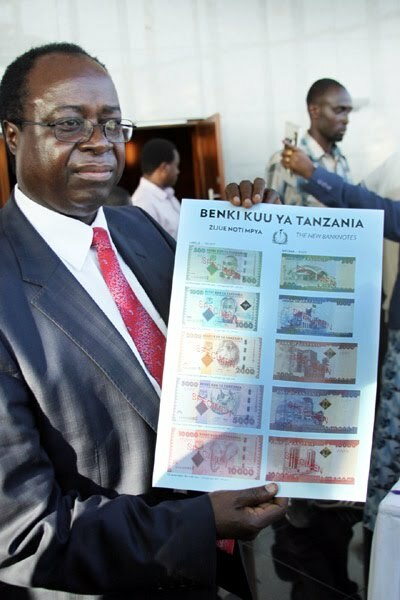 Nimeanzisha na kuendesha tovuti hii binafsi tangu Oktoba 20, 2009 bila mapumziko. Kabla ya hapo nilikuwa nikiendesha nukta77 blog. Inanibidi kupumzika, na zaidi ya kupumzika, ninahitaji kufanya shughuli nyingine kadhaa zinazopewa kipaumbele wakatihuu, zinahitaji muda mwingi na "attention" kubwa. Kwa kipindi hiki chote nitakuwa nimesongwa na shughuli binafsi na pia safari ambazo zitanipeleka maeneo ya mbali kabisa ambako sitakuwa na mawasiliano ya intaneti au kompyuta ama simu. Kwa kiasi, nimekusudia iwe hivyo ili niweze kuwa na ushiriki wa asilimia mia moja kwa kile nitakachokuwa ninafanya pale nitakakokuwepo. Kabla ya "kutimua", Napenda kuacha na dondoo mbili tatu kwa yeyote ambaye angependa kusoma na kufuatilia habari zilizotangulia katika tovuti hii. Ili kufanikisha hilo kirahisi, unaweza kuchagua njia moja au kujaribu zote kati ya hizi tano zifuatazo. Kwa kutumia search box inayoonekana upande wa kulia chini kabisa ya blogu au wakati mwingine, kulingana na toleo la kirambaza "browser" unachotumia, inaweza kuonekana sehemu ya juu kushoto kabisa mwa ukurasa ikiwa na maandishi madogo yasemayo "search topic..." basi andika utakacho hapo, kisha bofya kifute cha "enter" kwenye kibodi yako na utapata majibu. Ikiwa majibu hairidhishi, jaribu tumia njia ya nyingine. Kwa kutumia maktaba ya kumbukumbu za machapisho "archives" iliyopangwa kwa miezi katika kolamu iliyopo upande wa kulia. Kwa kutumia vipengele "categories" au "labels" vilivyopo kwenye kolamu ya kulia mwa ukurasa. Kwa kutumia tovuti tafuti "search engines" hususan, google.com kutafuta habari katika wavuti.com. Nitakuelekeza njia rahisi ya kufanya hivyo. Fungua ukurasa wa google.com kisha andika neno au maneno unayotaka kutafuta ndani ya wavuti.com na google itakurejeshea majibu yenye machapisho ya matoleo yote ambayo wavuti.com inayo kuhusiana na maneno hayo. Kwa mfano, tuseme unataka kutafuta chapisho lenye maneno "mawaziri", basi nenda www.google.com andika mawaziri site:wavuti.com kisha bofya "enter"na google itakutafutia. Ikiwa wavuti.com haina, basi kwa kiasi kikubwa hakuna chapisho lenye maneno hayo, au inabidi kutafuta kwa kutumia maneno mengine. Hizo ndizo njia za kutumia kutafuta chochote ndani ya wavuti.com na njia namba 4 unaweza kuitumia kutafuta chochote ndani ya blogu/tovuti yoyote ambayo imetengenezwa kwa mfumo mzuri wa kuruhusu tovuti tafuti kufikia habari zake "search engine friendly websites". Hitimisho, Tafadhali endelea kupata taarifa na habari za matukio mbalimbali kwa kupitia tovuti na blogu zilizoorodheshwa katika ukurasa wa "linki" au kusikiliza redio katika ukurasa "audios" katika tovuti hii. Huko ndiko ambako huwa ninazuru kujua yaliyojiri. Nakutakieni heri na mema katika kila mfanyayo ili kujiendeleza binafsi na Taifa. Tuonane wakati huo (au "ado ado" hapa katikati kadiri hali itakavyoruhusu). PS: Najua yatakuwepo "mazungumzo baada ya habari" na "yatokanayo" yakiambatana na aswali "kibwena" kuhusu hili na yatazua lile na mengine. Nikianza kuandika kadiri ya ninachowaza watu watachouliza, posti itakuwa gazeti. Ila niseme tu kuwa, imeshindikana kumwachia mtu aendeshe wavuti.com, kila mmoja ana hamsini zake na kwa wale wanaonifahamu, hii "mishemishe" ya kusaka habari hawaiwezi, aghalabu huwa wananishangaa sana nifanikishaje, huwa nawaambia ni "hobby" ninayoipenda sana, hunichosha mara chache lakini wakati mwingi nafurahia, kwangu ni aina ya starehe. Mwingine amediriki kuniambia "...usiiache kwa mtu 'atatuchakachulia habari'..." teh teh teh. Wajameni, tusipoonana hapa kielektroniki basi tuonane kule ana kwa ana. Tukutane makutano! The Government of Tanzania is sending a team of medical experts to Kagera region in the north to investigate reports of an outbreak of a deadly disease suspected to be ebola in border villages in neighbouring Uganda. The deputy minister for Health and Social Welfare, Dr Lucy Nkya, said in Dar es Salaam Wednesday that the team will comprise medical experts from her ministry, the National Institute for Medical Research (NIMR) and the Muhimbili National Hospital (MNH). “You are just breaking the news (on the outbreak of the disease in Uganda) to me. Thanks, and I will make sure that a medical team is dispatched to Kagera region as soon as possible,” she told Tanzania's The Citizen daily in a telephone interview. Reports from Uganda quoted health officials as saying that a disease that has been killing people in Kitgum, Abim and Agago districts could be a new strain of ebola. The situation report of November 26 indicated a cumulative figure of 32 cases, with fatality rate of 25 per cent since its outbreak in Balang village in Mutu parish in Paimol Sub-County, Agago district early this month. A National Professional Officer with the World Health Organisation in Gulu, Dr Emmanuel Tenywa, said a total of 19 people were currently admitted at an isolation ward in Kalongo Hospital with acute signs and symptoms of diarrhoea, vomiting, and severe frontal headache, sometimes associated with pain in the eye without conjunctivitis and blood stains on their stool. He said already one of the health workers in the hospital had developed the disease symptoms after she accidentally came into contact with vomit of a patient. The Kitgum district Surveillance Officer, Ms Grace Ogwang, said four people had so far died of the disease from their homes, while four others were still admitted at St. Joseph’s Hospital. Sakata la Mwenyekiti wa Chama cha Demokrasia na Maendeleo (CHADEMA) mkoa wa Mbeya, Sambwee Shitambatala, kujiuzulu kwa tuhuma za kupokea rushwa ya sh. milioni 600 ili kukipa kukihujumu chama hicho dhidi ya Chama Cha Mapinduzi (CCM) ili kiibuke na ushindi, limeingia katika sura mpya baada ya viongozi wa CHADEMA kumwangukia mwenyekiti huyo kwa kumsafisha. Akizungumza leo asubuhi na gazeti hili kwa njia ya simu, Katibu wa Mkoa wa Mbeya, Eddo Makata, amesema katika uchunguzi uliofanyika umebaini kuwa Shitambala hana harufu ya rushwa wala hakuchukua kitu kidogo kwa ajili ya kuiumiza CHADEMA katika Uchaguzi Mkuu uliofanyika Oktoba 31, mwaka huu. Amesema kikao cha Baraza la Mashauriano la Mkoa huo lililokaa Novemba 27, mwaka huu mkoani hapo, kimethibitisha kuwa Shitambala hakuhongwa kiasi hicho cha fedha ambacho baadhi ya wanachama walikuwa wakimtuhumu. Makata amesema kutokana na uchunguzi huo baraza linatarajia kumpa ofisi Desemba 11, mwaka huu na ameomba radhi kwa usumbufu alioupata kutokana na kashfa hiyo, “Sisi kama chama mkoani hapa tumekaa kikao ili kujiridhisha kuhusu uvumi huu lakini tumebaini kuwa haukuwa na ukweli na ndiyo maana tumeamua kutoa kauli hii na tutamrejesha katika ofisi yake Desemab 11, mwaka huu,” amesema Makata. Hivi karibuni Shitambala alitangaza hadharani azma yake ya kujivua wadhifa huo kwa madai kuwa anapisha uchunguzi wa kashfa dhidi yake ya kupokea rushwa kutoka CCM ili kumsaidia mgombea wa chama hicho kushinda Ubunge wa jimbo hilo. Katika hali isiyo ya kawaida, Hassan Omary, mkazi wa Kata ya Kiungi Madukani katika wilaya ya Moshi Vijijini mkoani Kilimanjaro, amemwua mwanaye wake Joseph Hassan (1.3) kwa kumkanyaga kifuani kutokana na hasira baada ya mkewe kukimbia alipotaka kumchinja kwa panga. Tukio hilo la kusikitisha limetokea usiku wa kuamkia jana mkoani humo wakati baba huyo aliporejea kutoka kunywa pombe na alipofika katika nyumba wanamoishi, baada ya kuingia ndani, alianza kumpiga mkewe, Anna Hassan, na ndipo alipoamua kuchukua panga kwa nia ya kumchinja. Kuona hivyo, mkewe aliamua kukimbia ili kuokoa maisha yake, lakini mumewe alianza kumfuata lakini alishindwa kumkamata. Purukshani hizo zilisababisha mtoto wao mchanga kuanza kupiga kelele huku akimfuata baba yake ambaye alimbeba kisha kuingia naye ndani na kumlaza chini na kuanza kumkanyaga kifuani, hali iliyosababisha mtoto huyo kulia kwa uchungu huku akitokwa na damu mdomoni. Kutokana na kelele hizo, mama yake ambaye alikuwa amejificha nyumba ya jirani alirejea na kumkuta mumewe akimkanyaga mtoto huyo ndipo alipopiga mayowe ya kuomba msaada kwa majirani. Kamanda wa Polisi Mkoa wa Kilimanjaro, Lucas Ng'obhoko, amethibitisha kutokea kwa tukio hilo na kusema kuwa mtuhumiwa huyo anashikiliwa na polisi. Ameongeza kuwa mtoto huyo alifia njiani wakati akikimbizwa hospitalini kwa ajili ya matibabu. Mwalimu wa Kiingereza katika Shule ya Msingi Furaha jijini Mwanza, Jafeth Manyirizu, anatafutwa na Jeshi la Polisi mkoani humo kufuatia kudaiwa kumvunja mkono mwanafunzi wake, Asia Yasini, wakati akimwadhibu kwa kumpiga kwa ubao. Kwa mujibu wa Kamanda wa Polisi mkoani humo, Simon Siro, chanzo cha mwalimu kumvunja mkono mwanafunzi huyo ni kupindisha mstari wakati akifundishwa somo hilo. “Jeshi langu linaendelea na upelelezi wa tukio hili ili liweze kumtia katika nguvu za dola na sheria iweze kuchukua mkondo wake dhidi iya mwalimu huyu katili,” alisema Siro ambaye amewaomba Walimu wenye tabia hiyo kuacha vitendo hivyo kwani kitendo alichofanyiwa binti huyo ni cha ukatili. Mkuu wa shule hiyo, Emmanuel Manoni, amesema hana taarifa za kitendo alichofanya Mwalimu huyo lakini akaahidi kuwa atazifuatilia ili kuzifahamu kwa undani. Sikiliza Bibi Umeme! Sikiliza Bwana Umeme! Blogu hii ni kwa ajili ya wadau mbalimbali wa umeme wa ndani na wa nje ya Shirika la Umeme Tanzania (TANESCO). Blogu hii inatoa fursa na uhuru wa wananchi na wateja wetu kutoa maoni yao juu ya huduma za Shirika kwa lengo la kuboresha na si kubomoa. Blogu hii inapokea maoni ya kila aina na changamoto zenye kujenga. Lugha inayoruhusiwa ni ya Taifa (Kiswahili) fasaha au Kiingereza. Lugha ya Matusi si ustaarabu. Uhuru wa kutoa maoni si uhuru wa kutukana. TANESCO – Tunayaangaza Maisha Yako.